CSKA were on the brink of becoming the third side in Europe this week to wipe out a three-goal deficit in the second leg as Arsenal froze in Moscow for 76 minutes. Goals either side of half time from Fedor Chalov and Kirill Nababkin put the tie on a knife edge – the away goal for CSKA at the Emirates a week earlier meaning another goal would have put the Russians through. And with the noisy crowd behind their opponents, Arsenal looked in danger of having to fight all the way before Danny Welbeck eased their nerves 14 minutes from time only for Aaron Ramsey to put some gloss on the result with a second in injury time. “We were in trouble in the first half,” said Arsenal manager Wenger. “I feel that maybe we were a bit surprised by the intensity at the start. “After moving to a back five we were more stable, didn’t concede as many chances. Welbeck, understandably pleased with a goal that takes him into double-figures for the season, insisted Arsenal realised it was not going to be easy. “It wasn’t comfortable, we have seen in Europe how difficult it can be coming into games with an advantage,” he said. “It was difficult today, away from home in different conditions, but we stuck through it. Nevertheless, skipper Laurent Koscielny admitted that Arsenal’s players had not been good enough on the night overall. “It was not the plan,” he said. “I think we missed a lot of movement, to be available for our team-mates. We didn’t win duels. They played well, had opportunities and took them. It put pressure on us, if they score we are out. 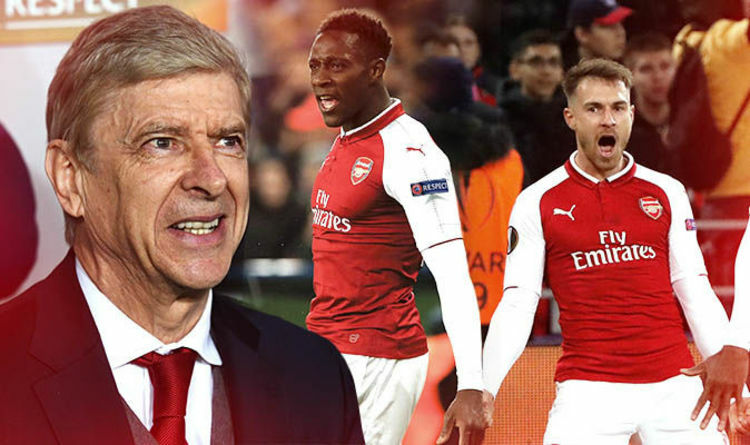 Arsenal join Red Bull Salzburg, Marseille and favourites Atletico Madrid in today’s draw, with the winners of the competition guaranteed a coveted place in the Champions League next season.